OSAKA - To effectively tackle global health issues it’s crucial that the Group of 20 nations use their June summit to overcome the barriers that have traditionally separated health experts and policymakers from financial and economic leaders. Thus, the first-ever meeting between G20 health and finance ministers, scheduled to take place on June 28 on the sidelines of the leaders summit in Osaka, offers a chance for global collaboration at the highest levels on new funding mechanisms for the research and development of a wide range of drugs, vaccines, diagnostics, and treatments. 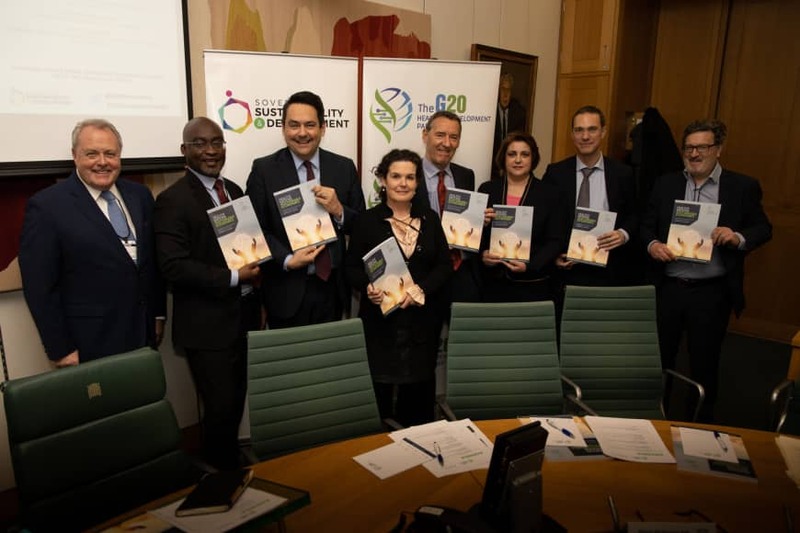 A push for unity was one of the key messages in a series of recommendations to G20 leaders released earlier this month by the G20 Health & Development Partnership, a London-based advocacy organization that aims to ensure G20 countries are coordinating their global health policies. The partnership, formed after the 2017 G20 summit in Germany, has the support of 21 global health organizations, major international pharmaceutical firms, the Harvard T.H. Chan School of Public Health and the Harvard Kennedy School of Government, and other organizations. Health experts and nongovernment organizations in lower-income countries, big pharmaceutical firms and the financial industry have historically clashed with each other, especially over the pricing of medicine. 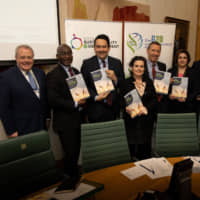 Alan Donnelly, convener of the G20 Health and Development Partnership, says increased cooperation between health experts, manufacturers of drugs and vaccines, financers, and top-level policymakers is the only way to effectively tackle global health problems. “In the past, things have operated in different silos. The TB (tuberculosis) community all met, the HIV community all met, and then you have the noncommunicable disease community, who are divided. What we’re saying is that these ‘silos’ have to break down,” Donnelly told The Japan Times in a phone interview. But equally, he added, the political silos also have to break down, because there is a correlation between public health and a sustainable economy. “Health and finance ministers must understand that if they want significant growth, be it in high or low income economies, finance ministers and the financial community have to be involved in addressing issues involving health. Failure to do so means these economies will massively underperform,” Donnelly said. The partnership’s report contains warnings about several global issues the G20 needs to address. A World Health Organization report released last year noted that, in 2017, about 10 million people developed tuberculosis, and 1.6 million, including 230,000 children, died from the disease. At the same time, TB is becoming ever more resistant to current antibiotics, requiring the development of new medicines and diagnostic tools. There is also a need to tackle noncommunicable diseases like cancer, heart disease and chronic respiratory diseases in low- and middle-income countries, where 80 percent of the deaths occur, according to WHO. “These health issues are not 20 or 30 years off. The problem is here today, for rich countries as well as poor countries,” Donnelly said. Dealing with the possibility of another pandemic is also an area where the partnership recommends more G20 effort. A century ago, in the closing months and immediate aftermath of World War I, the Spanish flu epidemic killed up to 50 million people worldwide. In Japan, no precise figures exist on the number of deaths. A 1922 government report estimated nearly 390,000 people died between 1918 and 1921, but record-keeping at the time was incomplete. Recent scholarship has raised that original estimate. Writing in Social Science Diliman last year, Kenichi Ohmi, a researcher at the National Institute of Public Health, and Akihito Suzuki, a professor at Keio University, said the mortality rate on Japan’s four main islands between 1918 and 1920 was almost 470,000. That figure jumps to almost 670,000 if Korea and Taiwan, both part of Imperial Japan at the time, are included. “If a highly contagious and lethal airborne pathogen with the characteristics of the 1918 Spanish Flu were to emerge today, it is estimated that nearly 33 million people worldwide would die in just six months,” the G20 Health and Development Partnership report said. The problem at the policymaking level, Donnelly noted, is that governments wait until there is a new pandemic and then rush around and put money into a new initiative. But such reactive measures mean the response to a new health crisis is delayed, when what is needed are proactive measures. However, there are programs now in place that the G20 leaders could tap to raise funds towards new financing efforts to not only guard against a potential pandemic, but also support other global health initiatives. For example, financial instruments such as new bonds, like a previously created vaccine bond, could be issued. Or certain kinds of new levies similar to the one in France that supports Unitaid could be created. Unitaid is a global health organization that funds projects to get cutting-edge drugs and medical technologies for HIV/AIDS, tuberculosis, malaria and other diseases into low- and middle-income countries. The organization, which is in partnership with the World Health Organization, also fights against antimicrobial resistance. Unitaid’s work is funded partially by air passengers in France. Economy class passengers are charged a €1 levy per ticket for domestic flights or to other parts of Europe, and €4 per ticket for destinations further afield. First class and business class passengers are charged €10. Following France’s lead, the system has been adopted by other countries. It’s an idea Donnelly suggests might expand to other industries. “The people who have benefited from globalization like the financial services industry, like the airlines, the tech companies, the telecommunications companies — there are ways they could contribute. Not through philanthropy, but a model where there’s a microlevy,” he said. But will the G20, given the current division among its members, manage to agree on increased cooperation and more use of microlevies when the leaders gather in Osaka? Japan, Donnelly noted, has its own form of cooperation on health and finance called the Global Health Innovative Technology Fund, which could serve as a model for the G20. The GHIT Fund invests in research and development partnerships between pharmaceutical companies and research institutes. In 2017, GHIT secured $200 million in commitments from the Japanese government and private organizations until fiscal 2022. The fund has 74 projects for malaria and neglected tropical diseases. Much of this is in the management and evaluation of health projects but GHIT also helps with the cost of screening of developmental drugs. “The specific thing we want out of the joint health and finance ministers meeting in Osaka is for finance ministers to recognize, and therefore the heads of government to recognize, that there are initiatives that can be scaled up to significantly generate the extra funds from traditional as well as nontraditional actors to tackle the growing disease burden. An equivalent to Japan’s GHIT will soon be launched in South Korea. A number of other countries are looking at a microlevy on flights,” Donnelly said. “Finance and health ministers could ask the OECD and the World Bank, together with the WHO, to create a high-level panel that would look into ways to scale up blended finance models and establishing new long-term ways of funding innovation in health. The panel’s proposals can be presented during the G20 presidency of Saudi Arabia in 2020,” he added. “Is the political will there? If you draw the comparison with climate change, I think we’re on the cusp of where we were with climate change in the late 1990s, where it moved finally from being an issue discussed by environment ministers to being mainstreamed,” Donnelly said.